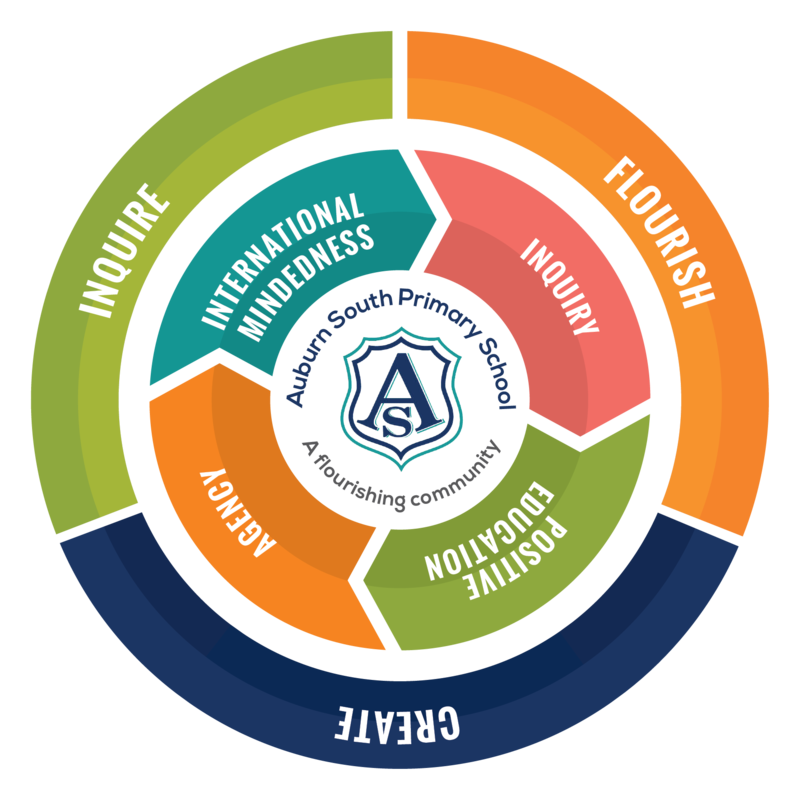 At Auburn South Primary School we believe that all students, as global citizens, have the capacity and responsibility to make a meaningful and positive contribution to the world in which we live. Students are encouraged to be creative, inquisitive and committed to achieving their personal and academic goals. They are empowered to make choices that impact on their learning and relationships in a positive way. Auburn South students are encouraged to be resilient; to bounce back, take risks and seek out new challenges and experiences. Whilst Auburn South Primary School is proud of its students’ high levels of academic achievement, it is our focus on developing the ‘whole child’; academic, social, emotional and physical that allows students to truly thrive. Working in partnership with parents and families, students have access to a broad range of curricular and co-curricular opportunities that allow them to grow, identify their strengths and reach their potential. Our school’s intent is to fulfil our vision and improve student learning outcomes across all areas of the curriculum while promoting positive health, inclusivity and empowerment for all students, parents and staff. Inquiry: Learners are curious and have the skills to pursue learning that has real-word relevance and impact. Agency: Learners are autonomous, resilient and motivated to take action. International Mindedness: Learners thrive in a culturally diverse & rich learning environment. They actively see different perspectives and understand the world through a local and global lens. Positive Education: As learners, our mindsets, strengths, relationships, emotions and sense of meaning, engagement and success are central to the pursuit of our best possible selves. I encourage you to browse our website and to contact the office for further information and a tour of our school.